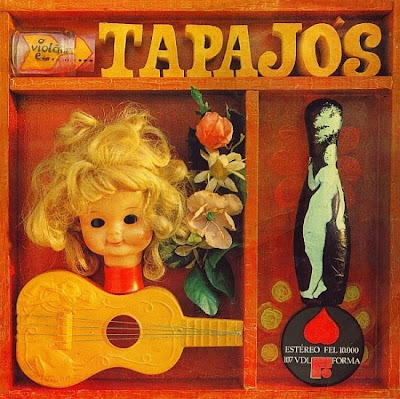 4 Reply to "Sebastiao Tapajos - O Violao E... Tapajos (1968)"
Thank you for this magnificent album! I have been wanting to hear some earlier works by Tapajos for some time, and now I can thanks to Loronix! For of your efforts, we are all massively in your debt. The care with which you went about restoring the sound through vinyl to digital transfer is appreciated, zecalouro. The quality is excellent. As is the original performance and your endeavours at Loronix to promote Brazillian artists and rare, out-of-print releases. Very nicely done. You have danced among the limits imposed by the damaged vinyl, technological possibility, and art. I hope a clean copy of this finds its way to you, but not until the memory of your labors of restoration has faded. This album is amazing. Brigadão! foi relançado em um album chamado violao brasileiro, junto com garoto, paulinho nogueira, luiz bonfa, baden e toquinho, pela gravadora philips, no ano de 1980.